The best HVAC systems behind your walls and in your ceilings, quietly maintaining the comfort of your home or business without drawing any attention to themselves. Our Las Vegas HVAC systems have got to be some of the hardest-working HVAC systems on the planet, and it’s amazing how steadily they run without complaint. Without them, we would struggle to sleep and get through daily life in the desert, especially during the summertime. 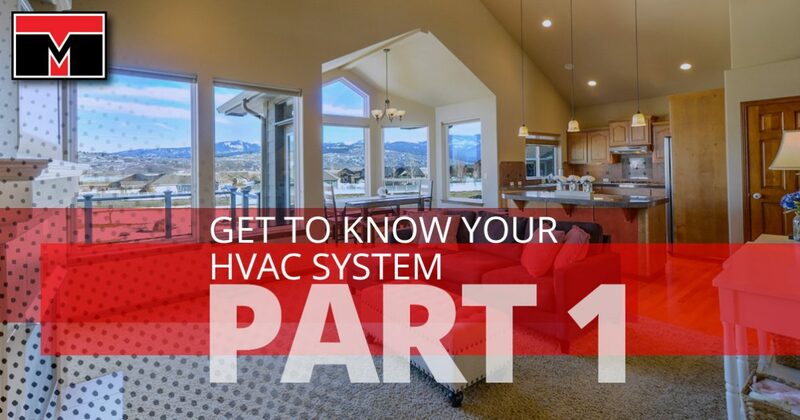 In our experience with HVAC clients, we’ve realized that not many of them know exactly what components make up one of the most valuable systems in their home (besides running water and electricity … and, some would say, the internet). In today’s blog, we want to give you a basic rundown of the mechanical team that makes up your hard-working HVAC system. Read on, and you’ll know more than the Average Joe! This is the heart of your HVAC system, and because we’re talking Las Vegas heat, we’re going to focus on air conditioners. Your air conditioning unit takes in warm air and makes it wonderfully cool for you. It can be located either inside your home or outside your home. If it’s inside, chances are good you’ll find it in a closet or the attic. When it comes to placement, closets are usually best because they are easier to maintain and less prone to leak than units mounted in attics. Attic-mounted units all leak eventually, so they need special condensate pans and drain lines to take the moisture out of your home before it can damage your ceilings. If it’s inside, chances are good you’ll find it in a closet or the attic. When it comes to placement, closets are usually best because they are easier to maintain and less prone to leak than units mounted in attics. Attic-mounted units all leak eventually, so they need special condensate pans and drain lines to take the moisture out of your home before it can damage your ceilings. If the unit is located outside, we hope you find it in an isolated area and not below a window or right under a roof without a gutter. The unit should be in a place where it won’t disturb you every time it turns on. It should also have a sheltered location to keep it running well for longer. The ductwork of your HVAC system is responsible for pulling warm air out of your home, carrying it to the cooling unit, and then dispersing it. The best ducts are generally round and thoroughly insulated. Long, flexible ducts are the most inefficient and should be avoided. When ducts aren’t the right size, it doesn’t matter how great your cooling unit is; your home will never be comfortable. 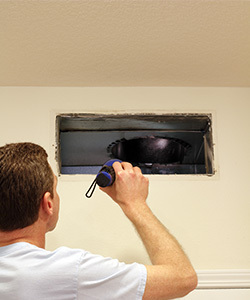 That is why you should contact us; we know how to match ducts to homes correctly. We are proud to be Las Vegas’s premier HVAC repair team. Contact us for experienced, courteous HVAC services today!